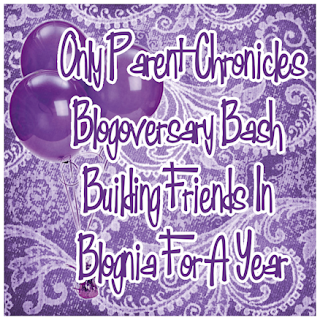 Only Parent Chronicles: Happy Blogoversary!!! It's A *Twitter* Party! Happy Blogoversary!!! It's A *Twitter* Party! Happy Blogoversary. Happy Blogoversary. Happy Blogoversary. Haaaaaaappy Blogoversary! In case you missed the memo, Only Parent Chronicles turns 1 today! NOW RSVP AND I WILL SEE YOU TONIGHT!!! Happy Blogoversary! I can't attend because we'll be at kids church tonight. Have a great time! Happy BLogoversary!! I'm still unsure if I will be but I am going to try really hard! Happy Blogoversary! I'm glad you are here! Happy Blogoversary!! 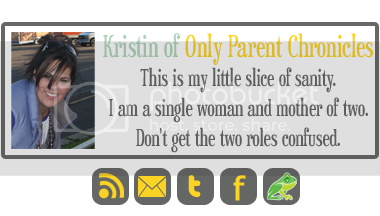 I found you through someone else's blog. 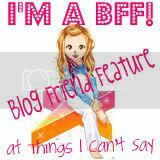 I don't know if I'll be around but happy blogiversary!!!! Happy blogoversary! If I wasn't such a twitter twit and didn't have a ton of school work, I might try and wiggle my way into the festivities. For now though I will just have to wish you a terrific time and many more blogoversaries to come! Happy Blogoversary! I just turne done on 9/14! Time flies. Have fun at the twitter party - I am still figuring twitter one...I am lame! Congrats on the blog birthday. Is it bad that I have no freaking idea how long I've been blogging? 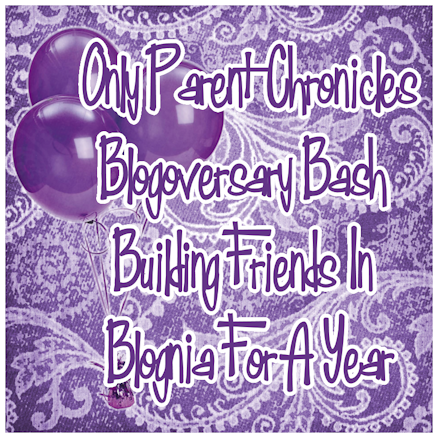 Happy Blogoversary!! It's so exciting to reach a milestone of something you love doing. Congrats!